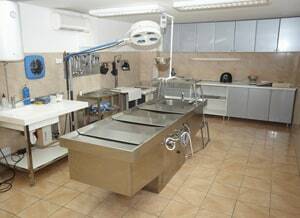 Do You Need Autopsy in Malpractice Cases? Do We Need to an Autopsy for a Wrongful Death Medical Malpractice Case? An "Autopsy report" is defined under Maryland law as a written document detailing the medical findings and conclusions of a postmortem examination performed by a medical examiner. Doctors can order a clinical autopsy to figure out what happened to the patient. It really is the gold standard to look back and see what actually caused the patient’s death. Autopsies have declined in this country. Over 50% of patients who died in a hospital received an autopsy 40 years ago. Today, it is less than 5%. One often cited factor for the decline is that doctors will not order an autopsy because they fear there will be evidence that can be introduced in a wrongful death medical malpractice claim. An autopsy can provide the smoking gun evidence that can make or break a malpractice claim. Many malpractice claims fail because there was just not enough evidence for the jury to find negligence even though the jurors suspected the doctor has made a mistake. I can tell you that our malpractice firm has turned down cases where I'm certain an autopsy would have confirmed the family's suspicions. But without an autopsy, the evidence was just not there to bring a claim against the doctor for medical malpractice. You would be amazed at the vigorous defenses we see from doctor's attorneys in cases where the malpractice seems obvious. Do not assume that you do not need the autopsy evidence because the case is so open and shut. Conversely, I have also seen a lot of cases where the possibility of medical malpractice was the furthest thing from the family's mind until they saw the autopsy report that suggested a mistake was the cause of death. An autopsy is statutorily authorized in Maryland to assist in confirming or determining the cause of death. It is nonbinding, but the evidence from an autopsy can be relied upon by medical experts to support their conclusions at trial. Autopsy evidence will, of course, include the findings of the autopsy procedure, photos of the decedent, and the death certificate. In many types of deaths, the autopsy is the gold standard for determining the root cause of why the person died. Autopsy reports are hearsay under Maryland law. We can often get the autopsy admitted under the public or business records exception to this rule. Either way, this evidence is crucial because any medical expert offering an opinion in the case will rely upon the medical examiner's report in determining why and how the person died. If you believe that someone you loved has died as the result of a mistake by a health care provider, as for an autopsy. If they refuse, consult a medical malpractice lawyer who might be able to give you direction. Remember that time is often of the essence. Autopsies are best when conducted with 24 hours of death. If you believe someone you loved has died as the result of medical malpractice, we can help you find out what happened. If a mistake was made, we can make sure the negligent doctor is held accountable. Call us today at 800-553-8082 or fill out this free request for a claim review.